A day after Syed Shuja, a US-based man arranged an ‘EVM hackathon’ to ‘prove’ that the Electronic Voting Machines (EVMs) can be hacked, the Election Commission of India (ECI) has written to the Delhi Police, requesting it to lodge an FIR and investigate the claims made by Shuja during an event organized in London. 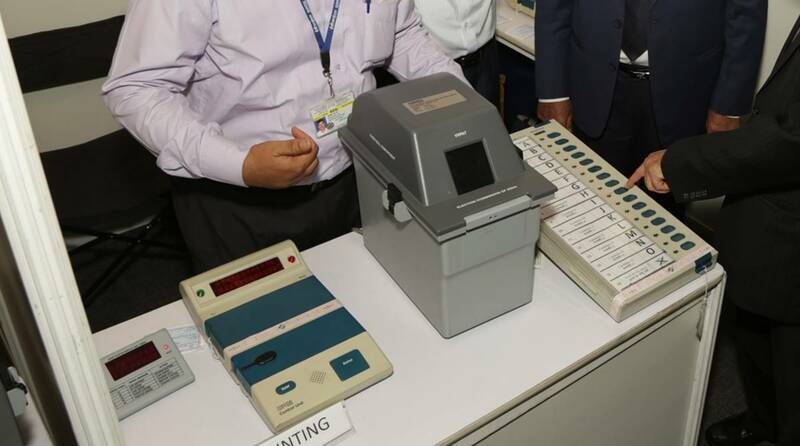 “Through media reports, it has come to the notice of the commission that allegedly one Mr Syed Shuja claimed (at the event in London) that he was part of the EVM design team and he can hack the EVMs used in elections in India,” Election Commission of India wrote to Delhi Police. Soon after Syed Shuja had made the claims the Election Commission of India (ECI) vehemently denied any possibility of tampering with the EVMs.